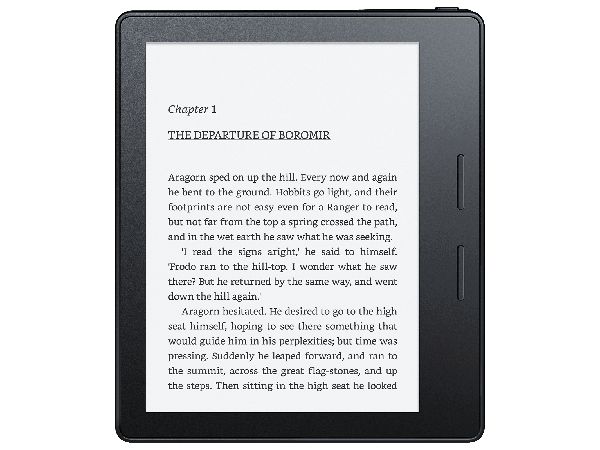 Keep your Kindle working at its best with this, the latest update from Amazon. The latest software version for Kindle Oasis (9th Generation) is 5.9.2. This update automatically downloads and installs on your Kindle Oasis when connected wirelessly; however, you can also manually download the software and transfer the update to your device via USB cable. Audible: Listen to Audible on this Kindle. Play audiobooks directly from your library or explore the Audible store to discover new ones. Easily switch between reading on your Kindle and listening to your story on your favorite Bluetooth device – like speakers or headphones. Simply pair with Bluetooth to listen. Storage Management: Under Advanced Options in Settings, Storage Management offers two new ways to free up space on your Kindle. You can remove content by content type, such as Books, Docs, or by groups of files that haven't been opened recently. Items downloaded from the cloud will still be accessible by tapping All on your library. Personal content that was transferred manually to your Kindle will be removed.